Given the wide range of possibilities presented in the estimates of future greenhouse gas levels and the associated global warming, it is difficult to predict the environmental and socio-economic effects of such developments. However, using a combination of investigative techniques— ranging from laboratory experiments with plants to the creation of computer generated models of the atmosphere and the analysis of past climate anomalies—researchers have produced results which provide a general indication of what the consequences might be in certain key sectors. (Wittwer 1984). There is some concern, however, that the improvement in the growth rates would be accompanied by a reduction in the quality of plant tissue (Melillo et al.1990). The predicted higher temperatures, working through the lengthening and intensification of the growing season, would have an effect on the rates of plant growth and crop yields. The regional distribution of vegetation would change, particularly in high latitudes where the temperature increases are expected to be greatest (Shugart et al. 1986). Across the northern regions of Canada, Scandinavia and Russia, the trees of the boreal forest would begin to colonize the tundra, as they have done during warmer spells in the past (Viereck and Van Cleve 1984; Ball 1986), at a rate of about 100 km for every 1°C of warming (Bruce and Hengeveld 1985). The southern limit of the boreal forest would also migrate northwards, under pressure from the species of the hardwood forests and grasslands which would be more suited, to the new conditions. An expansion of the grassland in western Canada would push the southern boundary of the forest north by 250-900 km (Wheaton et al. 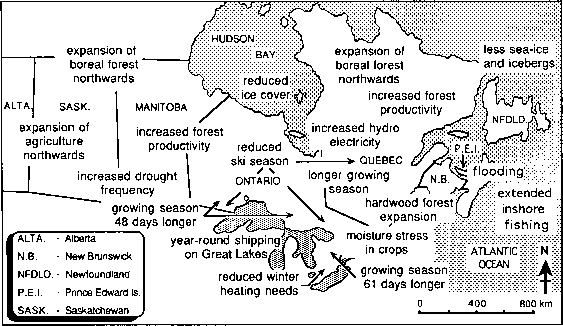 1989), and ultimately the boreal forest might disappear completely from northern Alberta, Saskatchewan and Manitoba (see Figure 7.11). The changing nature and distribution of the northern forest biomes would be the clearest indication of prolonged warming. Accompanying these changes, and contributing to them, would be a series of less obvious factors. Rising soil temperatures, for example, would speed up the provision of soil nutrients through the more rapid decay of organic matter, and contribute to improved plant growth (Van Cleve et al. 1983). New or increased disease and insect infestation might also follow the warming, but that might be offset by a decline in existing infestation problems (Melillo et al. 1990). With warmer and potentially drier conditions in the forest, an increase in the frequency of forest fires is a distinct possibility. One element in particular that requires study is the rate at which the forests can respond to the warming. If the temperatures change more rapidly than the forests can accommodate them, then the rapid die-off of large numbers of trees would cause disruption to the northern ecosystems for perhaps centuries to come. This in turn would disrupt the patterns of economic activity in the north, and have a significant effect on those countries such as Canada, Sweden, Finland and Russia, where national and regional economies depend very much on the harvesting of softwoods from the boreal forest. In lower latitudes, where the temperature element is less dominant and changes are expected to be less, the impact of global warming will often be experienced through changes in the amount and distribution of moisture. Soil moisture levels would decline in areas experiencing a Mediterranean-type climate— southern Europe, South Africa, parts of South America and Western Australia—for example, as a result of reduced precipitation and the higher evapotranspiration rates associated with the warming (Mitchell et al. 1990; Pittock and Salinger 1991). Although the vegetation in these areas has adapted to seasonal drought, the extension of the dryness into the normally wet winter season would ultimately bring about changes in the composition and distribution of the Mediterranean climate biome. Extra precipitation in monsoon areas, and the increased poleward penetration of the monsoon rains expected to accompany global warming (Pittock and Salinger 1991) would allow the expansion of the tropical and sub-tropical vegetation of areas such as northern Australia. Elsewhere—the Sahel, for example—the impact of the extra precipitation would be offset, perhaps completely, by increased evapotranspiration rates at higher temperatures. The conditions likely to alter the regional distribution of natural vegetation are also likely to change the nature and extent of cultivated vegetation. A significant expansion of agriculture is to be expected in mid to high latitudes, where the greatest warming will be experienced. In the interior of Alaska, for example, a doubling of CO2 levels would raise temperatures sufficiently to lengthen the growing season by three weeks (Wittwer 1984), which would allow land presently under forage crops, or even uncultivated, to produce food crops such as cabbage, broccoli, carrots and peas. The growing season in Ontario, Canada, would be lengthened by 48 days in the north and 61 in the south. The reduced frost risk at the beginning and end of the growing season would be a major benefit in some areas. By 2050, in New Zealand and the coastal areas of Australia, for example, the frostfree season may be 30-50 days longer than at present (Salinger and Pittock 1991). The greater intensity of the growing season, along with the effects of increased CO2 on photosynthesis, would lead to increased crop yields. In Europe, simulations of the effects of a doubling of CO2 on crops, using grass as a reference, have indicated an average increase in biomass potential of 9 per cent, with regional values ranging from an increase of 36 per cent in Denmark to a decrease of 31 per cent in Greece (Santer 1985). The increase in agricultural output in China is expected to be 2 per cent, brought about by the greater production of rice, maize and cotton at higher latitudes, and a northward shift of 50100 km in the cultivation of tropical and subtropical fruits (NCGCC 1990). It may not always be possible for agriculturalists to take full advantage of the benefits of global warming, because of the effects on agricultural production of elements either unrelated or only indirectly related to climate change. 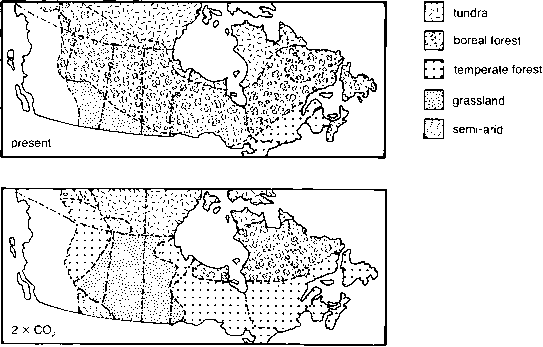 Warmer climates would allow the northward expansion of cultivation on the Canadian prairies, for example, but the benefits of that would be offset by the inability of the soils in those areas to support anything other than marginal forage crops, which are not profitable under current economic conditions (Arthur 1988). A major problem in China would be an increase in insect pests such as rice and corn borers, rice winged fleas, army worms, aphids and locusts. Dealing with these would raise pest control costs by 1-5 per cent (NCGCC 1990). Few simulations take such variables into account. The model employed by Santer (1985) to predict changes in European biomass potential included no provision for such important elements as insects, disease and additional fertilizers. Until such unknowns can be estimated, the results of this and similar simulations must be treated with caution. The most serious problem for agriculture is the increasing dryness likely to accompany the rising temperatures in many areas. Reduced precipitation following changes in circulation patterns, plus the increased rates of evapotranspiration caused by higher temperatures, would create severe moisture stress for crops in many areas (Climate Institute 1988b). Less precipitation and higher temperatures in the farmlands of southern Ontario might reduce yields sufficiently to cause losses of as much as $100 million per year (Smit 1987). The areas hardest hit would be the world's grain producing areas, which would become drier than they are now following the global warming (Kellogg 1987). Corn yields would be reduced in the midwestern plains of the United States, and a major increase in the frequency and severity of drought would lead to more frequent crop failures in the wheat growing areas to the north in Canada (Williams et al. 1988). The grain belt in Russia and Ukraine, already unable to meet the needs of these nations, would suffer as badly as its North American equivalent (Kellogg 1987). Such developments would disrupt the pattern of the world's grain trade, which depends heavily on the annual North American surplus. 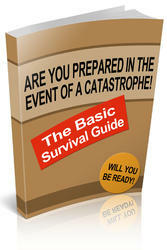 Food supply problems would become serious in Russia, and famine would strike many Third World countries. In the early 1980s, the picture was not considered completely hopeless, however, for rainfall was expected to increase in some tropical areas, and the combination of more rain, higher temperatures and more efficient photosynthesis would lead to increased rice yields of as much as 10 per cent (Gribbin 1981). Predictions for some of the grain growing areas in Australia also indicated increased precipitation and higher temperatures (Kellogg 1987). However, a 1992 study by Martin Parry—a leading analyst of the agricultural implications of global warming— was much more pessimistic. Computer model projections for the middle of the twenty-first century indicated a decline of 15-20 per cent in grain yields in Africa, tropical Latin America and much of India and south-east Asia, leading to major famine in these areas (Pearce 1992d). Such variations are only to be expected. 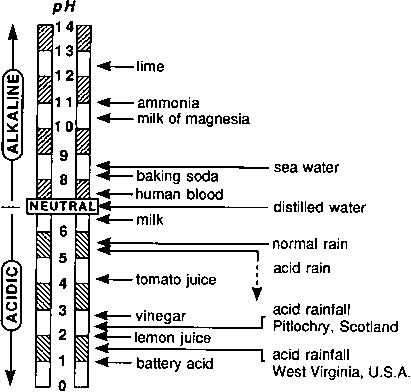 The many elements which together determine the distribution of natural and cultivated vegetation, and the complex interrelationships involved, are imperfectly understood. It is therefore very difficult to depict them accurately in current models. Coupled with the limited ability of most global models to cope with regional scale processes to which ecosystems respond, this ensures that the ultimate changes in natural and cultivated vegetation resulting from global warming must remain speculative. Most of the agricultural projections note the importance of an adequate water supply if the full benefits of global warming are to be experienced. Beyond that, little work has been done on the impact of an intensified greenhouse effect on water resources. Canadian studies have examined the implications of climate change for future water resources in the Great Lakes—St Lawrence River System (Sanderson 1987), and in northern Quebec (Singh 1988). In Australia, scientists using a high-resolution nested model (see Chapter 2) have been able to simulate the hydrology of the south-eastern part of the continent more accurately than is possible with existing global models. With a resolution about ten times finer that that of the global models, the nested model provides a better representation of those regional factors—surface morphology, for example—known to influence strongly the distribution and intensity of precipitation and run-off. The model has performed favourably in simulating current hydrological events, and with further development it should be able to provide a more accurate representation of regional hydrology following global warming than is currently possible. Beyond such studies, the general lack of attention to the hydrologic cycle following global warming is an important gap in current research. One aspect of global hydrology which has been considered in some detail is the impact of higher world temperatures on sea level. Warming would cause sea level to rise as a result of the thermal expansion of sea water and the return of additional water to the oceans from melting temperate glaciers. Global mean sea level has already been rising by about 1.5 cm per decade over the past century, and with global warming that rate is likely to accelerate to between 3-10 cm per decade (Hengeveld 1991). The IPCC has estimated that by 2030 sea level will be 18 cm higher than at present, and by 2070 the rise will be 44 cm (Warrick and Oerlemans 1990). Earlier studies indicated that mean sea level might rise by as much as a metre as early as 2050 (Titus 1986), but the IPCC assessment does not foresee a rise of that amount during the next century (Warrick and Oerlemans 1990). Although such increases are relatively minor compared to past changes in sea level, they would be sufficient to cause serious flooding and erosion in coastal areas. In low lying regions such as the Netherlands already dependent upon major protective works, even a sea level rise of half that postulated would have major consequences (Hekstra 1986). Land close to sea level in Britain—around the Wash, for example—would be similarly vulnerable, and structures like the Thames Flood Barrier might be needed on other British rivers. Environment Canada has commissioned studies of the impact of sea level rises in the Maritime Provinces, which show that flooding events or storm surges would become more frequent and severe, presenting serious problems for sewage and industrial waste facilities, road and rail systems and harbour activities (Martex Ltd. 1987; Stokoe 1988). 1991), and the average elevation of the Marshall Islands in the west central Pacific is less than 3 m (Climate Institute 1992a). Both areas are already being threatened by flooding and increased coastal erosion, and if sea level continues to rise they will become uninhabitable. The impact of even small rises in sea level is increased during high tides or storms, and when the two combine the results can be disastrous. In 1953, for example, high tides and a storm surge in the North Sea led to major flooding in eastern England, Belgium and the Netherlands. Over 2,000 people drowned. At that time, such an event was to be expected no more than once in 150 years. Since then, with rising sea levels, the odds have shortened to once in 35 years, despite the development of better coastal defences (Simons 1992). Whether storminess would increase or decrease in a warmer world remains a matter of controversy. In mid-latitudes, the storms that develop in the North Atlantic and Pacific and across the southern oceans, are driven by a strong latitudinal temperature gradient. With the rising temperatures projected for higher latitudes, that gradient would be reduced, and mid-latitude storminess might therefore be expected to decline (Houghton et al. 1990). It is possible, however, that those storms that do develop will be more intense, fuelled by greater evaporation rates over a warmer ocean, and the consequent increase in the energy flux between ocean and atmosphere. This could lead to an increase in the incidence of the intense low pressure systems that wrought havoc in Britain and western Europe in 1987 and again in 1990 (Simons 1992). Unfortunately, current models are unable to resolve the processes involved in these relatively small scale or regional phenomena, and predictions on storminess in middle latitudes remain inconclusive. 1991). Such storms currently move out of the tropics to become intense extratropical depressions, which bring heavy precipitation and strong winds to mid-latitudes. With warming these travelling storms would be expected to move farther north and south, sustained in part by energy transferred from the warmer oceans. Areas such as Australia, New Zealand and the coasts of the north Pacific and north Atlantic would suffer, but some of the island nations of the south Pacific might not survive such a train of events. Aware of the problems they might face in the future, the nations most likely to be affected came together as the Alliance of Small Island States (AOSIS), and as such were successful in having their situation addressed as part of the UN Framework Convention on Climate Change at Rio in 1992. AOSIS is hoping for the creation of a disaster insurance scheme funded by the developed nations—whom they see as mainly responsible for the climate change that threatens them—which will help in the creation of disaster prevention programmes (Climate Institute 1992b). Even in those areas not completely inundated, the relationship between sea level and regional hydrology would allow the effects to be felt some distance inland in the form of altered streamflow patterns and groundwater levels. In time, the impact of higher temperatures on the rate of ablation of ice caps and sea ice in polar regions might be sufficient to cause a rise in mean sea level of between 3 and 4 m (Hoffman et al. 1983). Should this ever come to pass, most of the world's major ports would not survive without extensive and costly protection. This disruption of commercial activities by rising sea-level in coastal regions is only one of a series of economic impacts which would accompany global warming. Others range from changes in energy use, particularly for space heating, to the development of entirely new patterns of recreational activity. Because of its northern location, Canada is especially susceptible to such changes, and as a result Environment Canada has invested a great deal of time and effort in viewing the greenhouse effect from a Canadian perspective (see Figure 7.12). The results of the studies, although specific to Canada, may also give an indication of future developments in other northern regions such as Scandinavia and Russia (Kemp 1991).